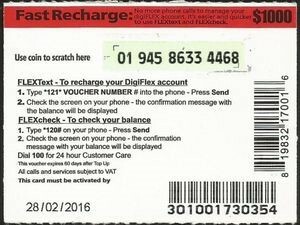 A Scratched Voucher is a voucher/phone card with a few of the voucher numbers missing. If you are in possession of one, contact us by selecting the Live Chat option on your screen. What is required for us to assist? If you do not have all of the above information, visit a dealer store for assistance.